Employees at Spanish construction SMEs are no strangers to improvisation, adapting processes or output to the needs of the job in hand. However, pressure to win work mean that these improvisations are not being properly documented, and are often lost. 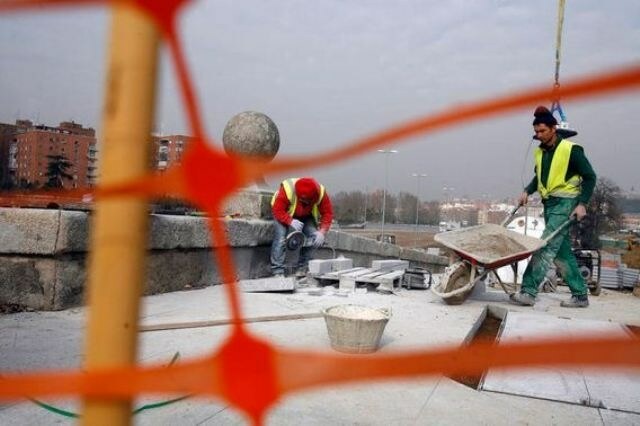 Researchers at the Polytechnic University of Valencia urge the management of even the smallest construction companies to embrace the new emphasis on innovation. According to a study at the Universitat Politècnica de València (Polytechnic University of Valencia, UPV), construction SMEs in Spain tend to prioritise securing contracts and production over R&D. Employees are very focused on day-to-day activities and have very little time to work on developing creative ideas. Any technological innovations that do occur tend to be born of necessity to resolve as hoc issues occurring on site. These improvisations are then neither documented nor disseminated, either within the company or without, and end up being lost. Speaking about the study, Eugenio Pellicer, lecturer in construction engineering at the UPV, has said that “companies in the construction sector work with very short-duration contracts, normally just a few months long, and they need to constantly make sure they secure a minimum number of contracts in order to survive – especially in the case of small- to medium-sized companies (SMEs). These companies, with very low diversification in their product and market, prioritise securing new contracts and production over any other activity”. Directors of construction SMEs are therefore “completely focused on making production profitable for the company and satisfactory for the customer, which means they devote nearly all their efforts to planning and control, placing very little importance on anything else. This means they don’t allow time for any other activities, including reflecting on the work carried out and, in the case of some innovative leap, documenting and disseminating the knowledge” (Pellicer). Meanwhile, larger companies have had procedures in place to systematise their innovation activities for some time now, driven by public support, the Spanish standards and certifications body, AENOR, and fiscal benefits. Implementing a model that promotes innovation and knowledge acquisition could be the solution that allows smaller companies to overcome their disadvantages of size and become more competitive. In order to devise the best such solution, UPV researchers analysed the management practices followed at a construction SME over the past nine years. “It was very interesting to observe that site managers are aware that they are innovating, in order to address issues that arise during construction or to meet the individual needs of their customers. We’re talking ad hoc technical improvements born of necessity. Their problem is that a lack of time –and also a lack of recognition by company management– means they are unable to reflect on, document or adequately disseminate these innovations” (Pellicer). The good news is that this is beginning to change, with the incorporation of the concept of value-added innovation being awarded between 10 and 30 percent of overall points in public tenders. This has led to a change of attitude towards innovation among management. “With just small changes to certain procedures, site managers had the time and space to able to communicate any problem-solving measures taken that might be considered an innovation”, says Pellicer. For instance, staff at the company’s headquarters getting involved to help document and disseminate the innovation, or even offering suggestions at the problem-solving stage itself. Putting procedures in place to communicate and develop improvised measures taken on site can give them the longer life they need to realise their innovative potential.